The AP Capital Region Development Authority issued bonds worth Rs 2,000 crore, with a face value of Rs 10 lakh each, at a fixed coupon rate of 10.32 percent for a period of 10 years. VIJAYAWADA: The Amaravati Bonds have been listed on the Bombay Stock Exchange on Monday with Chief Minister Chandrababu Naidu ringing the ceremonial bell at 9.15 am in Mumbai. 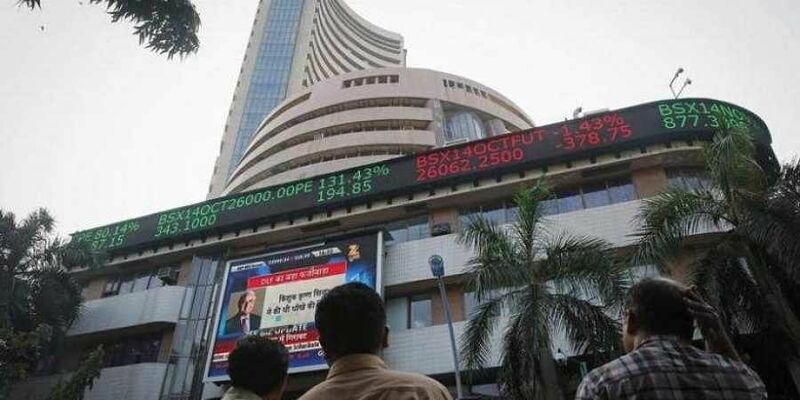 With the bonds now listed, the institutional investors, who bought the Amaravati Bonds issued on the Electronic Bidding Platform of the BSE on July 14, will be able to trade the bonds. It may be noted that the AP Capital Region Development Authority (APCRDA) issued bonds worth Rs 2,000 crore, with a face value of Rs 10 lakh each, at a fixed coupon rate of 10.32 percent for a period of 10 years. The money thus mobilised would be utilised for infrastructure development in Amaravati. Speaking on the occasion, Chief Minister Chandrababu Naidu outlined his grand vision to make Amaravati one of the top five cities in the world. He said that Andhra Pradesh was taking support from Singapore to construct the capital. "The Singapore Consortium is developing the Start Up Area in the capital by bringing in an investment of Rs 1.15 lakh crore and create 2.5 lakh jobs. The GSDP contribution of Amaravati will be Rs 1.2 lakh crore a year in 25 years. Our aim is not just to build a world class capital, but to build one of the best cities in the world," he said, adding that the capital city would also host Olympics for India in the future. The Chief Minister assured the investors of their investments made in AP, and told them that early investors would have an advantage. "If we have a vision and an ability to make quick decisions, raising money is not a problem. I assure you that we won't betray your trust and will prove our sincerity in delivering what we promised. I also request you to not just invest in the project, but also to become an integral part of it by visiting Amaravati," he added. Terming the oversubscription of Amaravati Bonds by 1.53 times a historic event, Naidu obsrrved that the overwhelming response to the bonds indicated the confidence of investors in the capital project. He also requested the CEO and MD of BSE Ashishkumar Chauhan to setup an innovation center in the new capital of AP. Earlier, the CEO and MD of the BSE observed that the oversubscription of Amaravati Bonds reposed the faith of the investors in CM Naidu's vision and efficient governance. He also made a proposal inviting AP government to promote listing Small and Medium Enterprises on BSE. "We will soon take the proposal forward and we can visit Amaravati to sign an MoU in this regard," he said. Principal secretary (CRDA) Ajay Jain also told the investors to not worry about their investments. "We have a land Bank of 5,000 acres for monetisation purpose," he said. Ministers Yanamala Ramakrishnudu and Np Narayana, AP Planning Board vice chairman C Kutumba Rao, and others were also present. After the bonds listing, CM Naidu participated in a round table conference with the heads of Tata Sons. He will also meet other top industrialists including chairman of Reliance Mukesh Ambani.